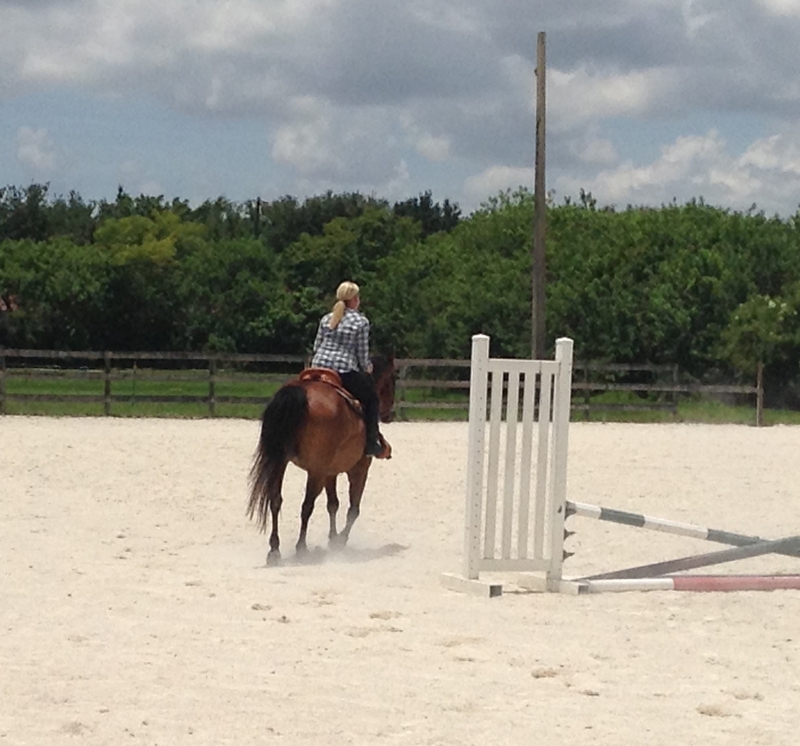 I am no longer The Novice Horsewoman. 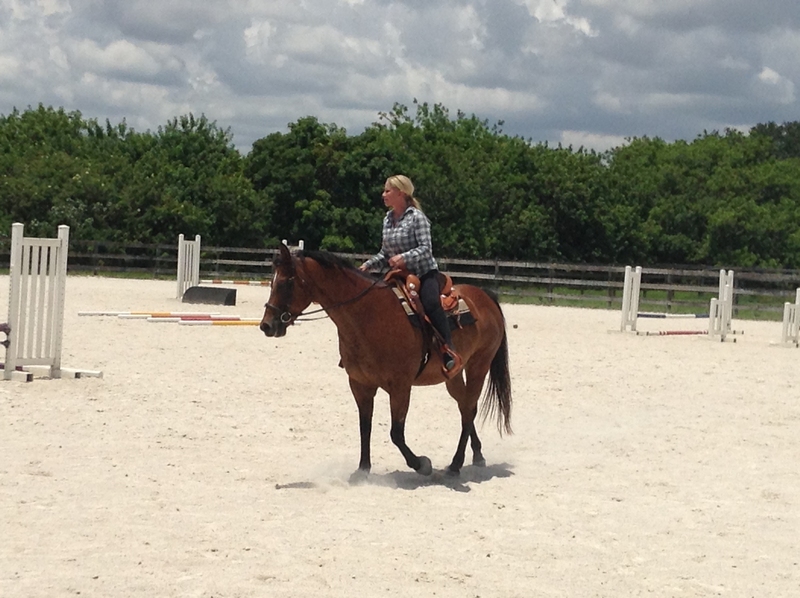 Make no mistake, I am still very much a beginner with horses….but no longer a novice. 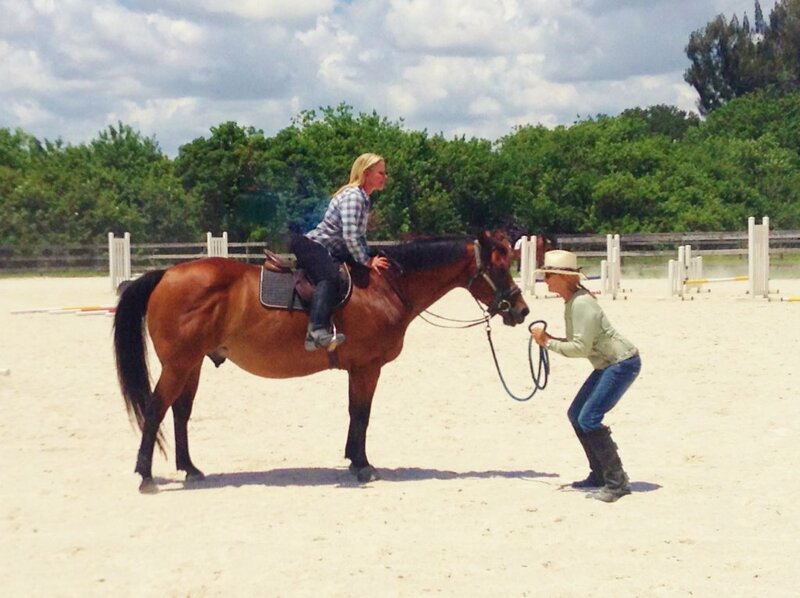 The best horse people I’ve encountered, even those with decades of experience and expertise, are the first to tell me how they have SO much more to learn about horses. Thus, I take on the mantle of “beginner” with humility. It is already amazing to me to be at this point. I devoured every bit of knowledge…then as now. So, novice though I was, I took over Serenity’s daily care and learned “on the job”. 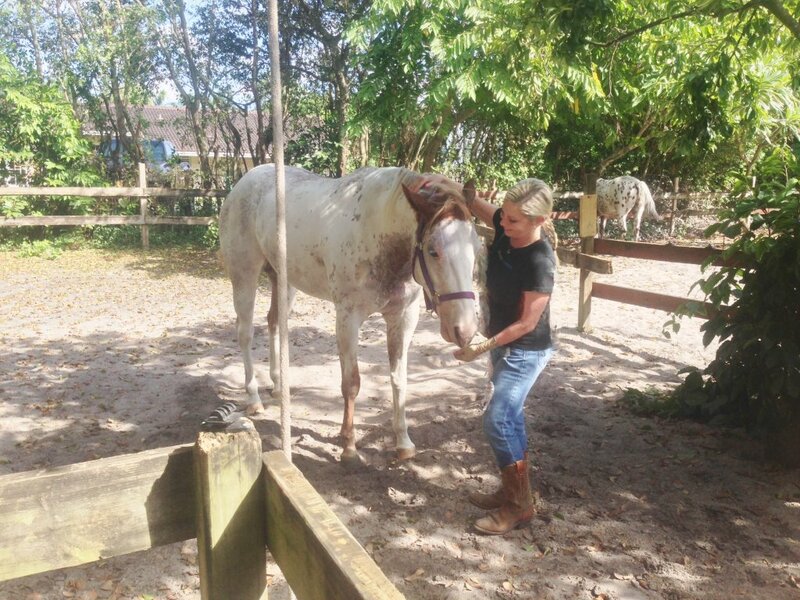 Serenity was a marvelous teacher….as was her vet, who, when the time came, gave me the task (and honor) of removing Serenity’s last bandage all alone and all by myself. Those days with Serenity, quietly hanging out with her during her stall rest, grooming her, massaging her, administering her meds, hand grazing and hand walking her, are forever in my memory as some of the sweetest days I’d ever experienced. Then, for a time, Serenity was “lost” to me. So I turned once again to a dream of horse rescue; but wiser heads prevailed, and I was introduced to my incorrigible gelding, Spirit. Had the “wiser heads” been more forthcoming, they would NEVER have recommended that a greenhorn like myself, take on a three year old gelding…. 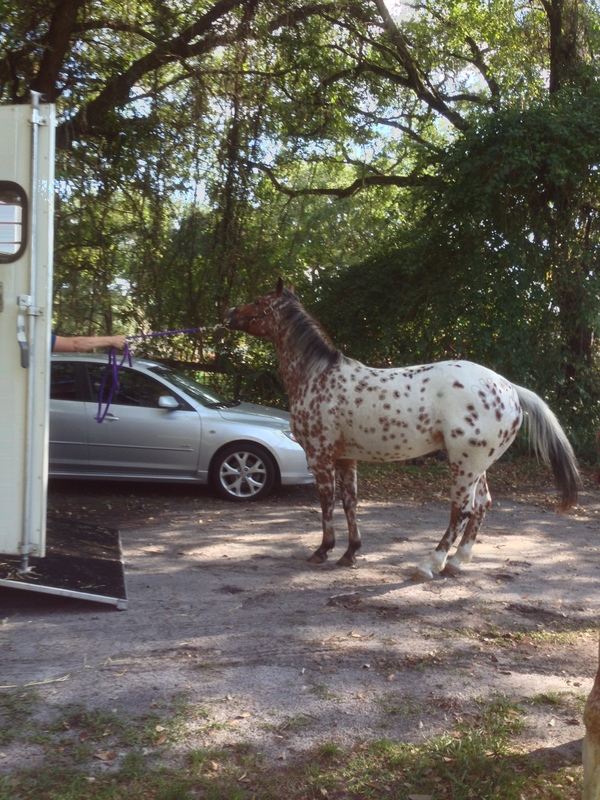 and an Appaloosa at that! But, again, God had His plans. I was thrown, feet first, into the waters of dealing with a brilliant, humorous, virtually untrained, greener-than-green little boy horse. The learning process with my beloved boy is still underway in ever-changing high gear…but dealing with a virtual baby, while knowing nothing, advanced my novice-hood at lightning speeds. 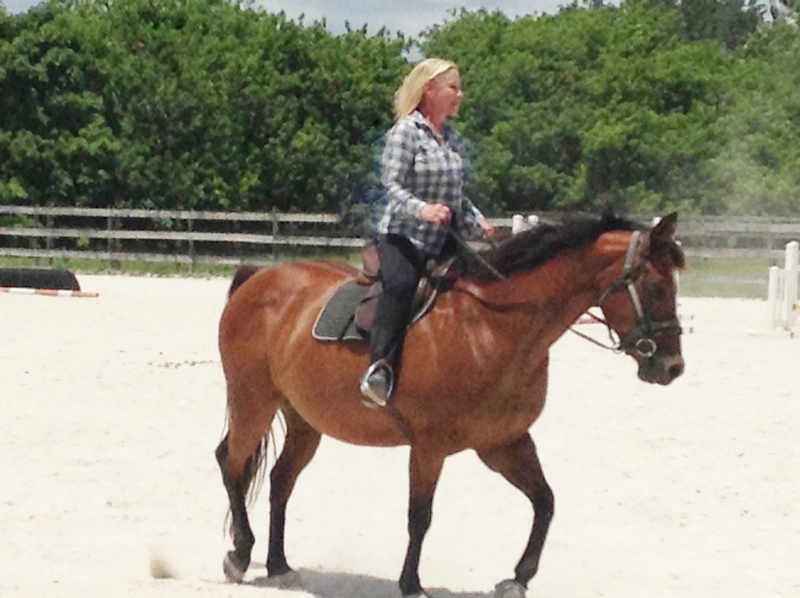 And yes, green on green DOES equal black and blue (as experienced horse folk are fond of saying) Yet, my noble-hearted little Appy never once let me fall off of him, even in the midst of his worst bolting off at a full out run, with me on his back! 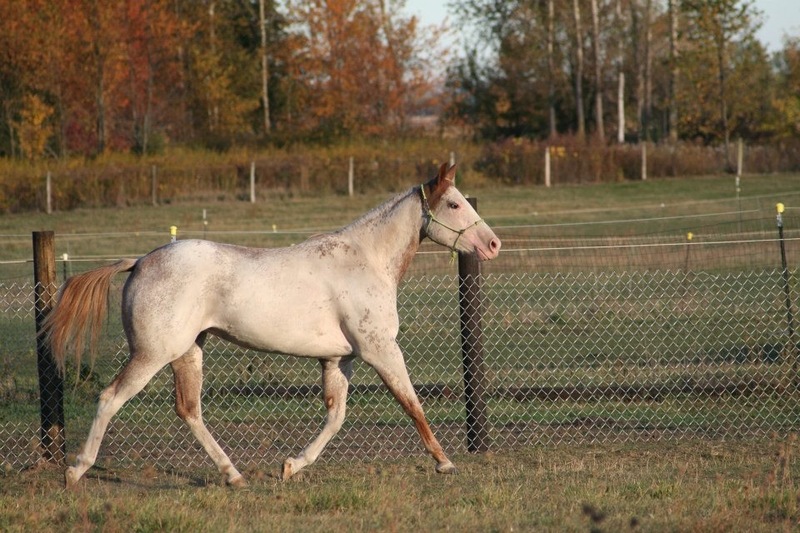 At practically the same time as Spirit came into my life, the beautiful and wondrous mare, Baby Doe, found her way to me as well. Who could have guessed that this exquisitely bred horse, who, nonetheless turned out to be unusable for the designs traders and trainers had on her, would ever be mine? Through my time with her I’ve learned massive amounts about colic, navicular disease and horsey “boos boos” (both small and humongous) that seemed to appear on her fragile being on a WAY too regular basis. 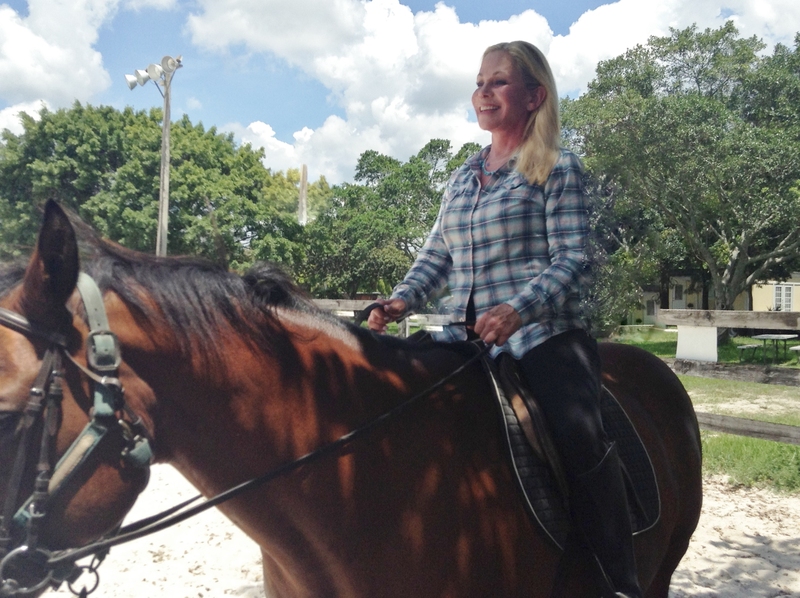 During this time I learned to manage a barn with all the trials and errors that my barn buddy, Phyllis, and I encountered, as life gave us the opportunity to be solely responsible for the barn, our horses and others’ boarded horses for many months. Ultimately, I found my beloved Wyoming ranch and was filled with joy, trepidation and overwhelm as I moved my horses across country to a completely different climate, lifestyle and horse knowledge. Shortly after arriving in Wyoming, beyond all hope, Serenity’s human asked me to take Serenity to be mine! Serenity joined us in Wyoming…on my birthday! 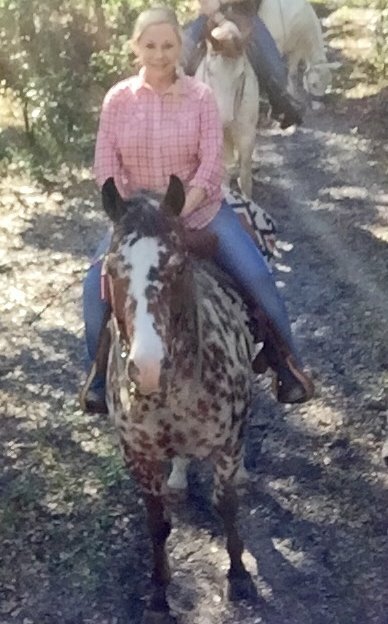 Through events beyond my control, I was left completely alone on my 80 acres of ranch to care for my Three Beloveds, with some help from local young people. My “crash course in horse” escalated to an entirely new level. A level that was light years beyond what I had yet experienced. I also experienced an aloneness in the vastness of the Wyoming landscape that shook me to my roots. 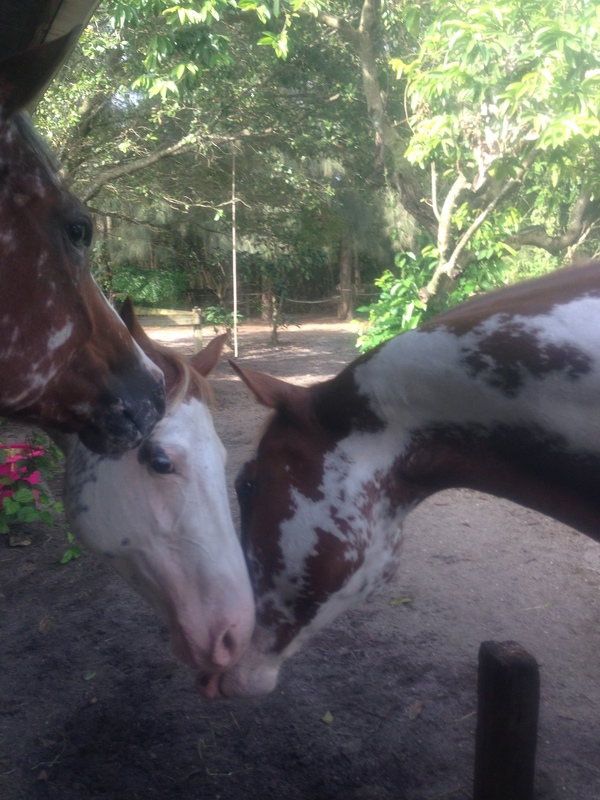 We Three Horses From Florida Are…. Brrrr…..
My Three became my only teachers during that time. (As well as did my darling cats) And, oh, how they taught! 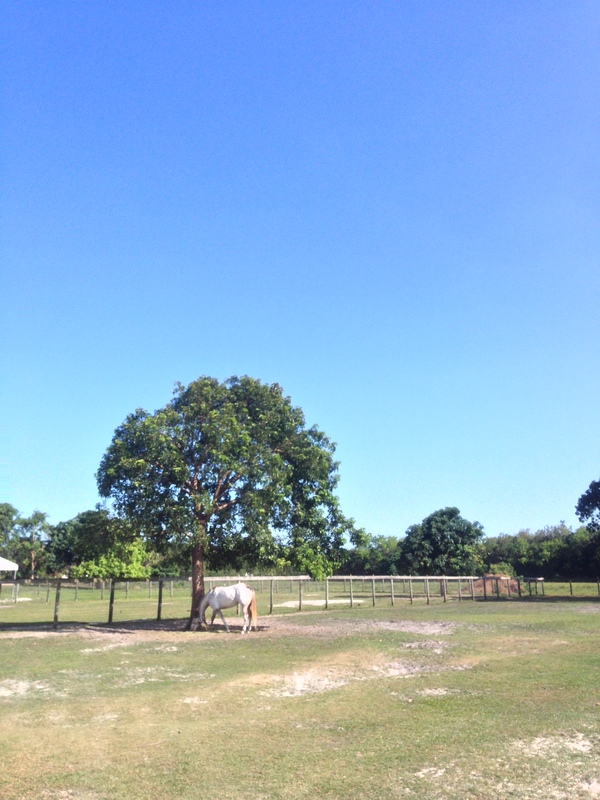 I also learned that, no matter what I may want or plan, God usually has other ideas, and I was once again humbled and brought to my knees as I came to the realization that I, alone, could not give my horses what they, at that time, desperately needed. So we packed up and moved temporarily back to Florida. 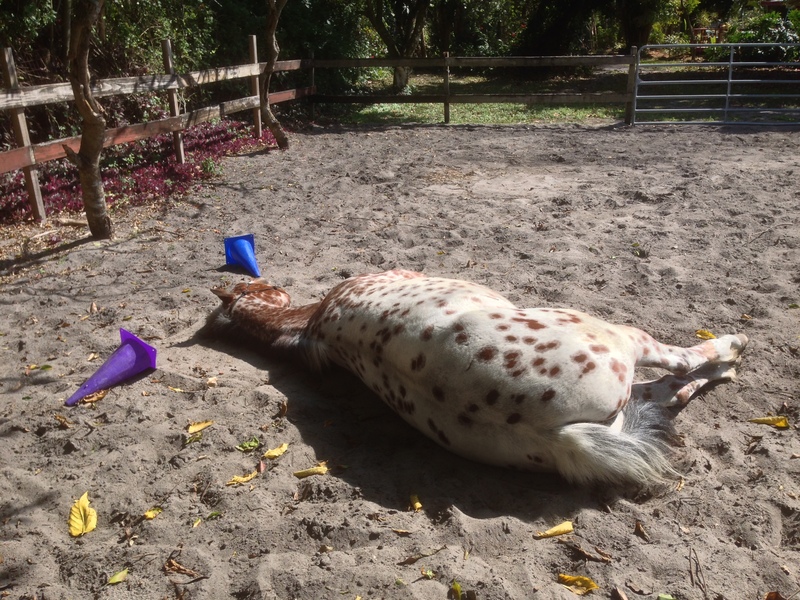 Florida: where Baby Doe’s navicular pain (sometimes agonizing pain) could be more aggressively managed, where the mystery of Serenity’s lameness could be solved and where my boy, Spirit, could have uninterrupted and necessary ongoing training with a kind and very knowledgeable trainer. And, much to my surprise, during this time in Florida, the calling that had come to me almost four years ago began to crystallize into shapes that I had only glimpsed at previously. So, as I end this stage of my horse education, I will travel back and forth to Wyoming and keep developing my land and honoring my stewardship of it. The Three will stay in Florida until next Spring. 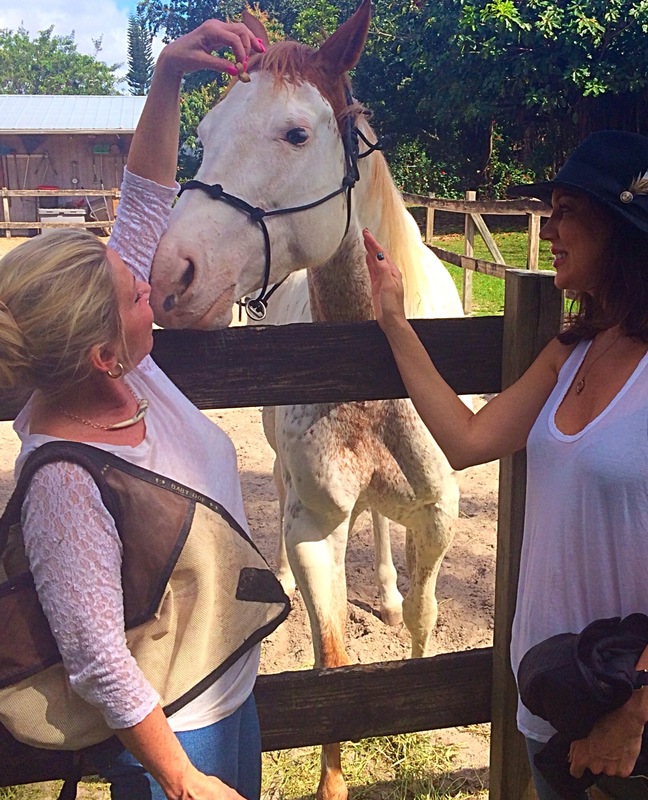 I will, openly and humbly, learn more about and practice the special gifts of energy work horse healing and communication that I had previously suspected were mine, but that are now being called into usage. 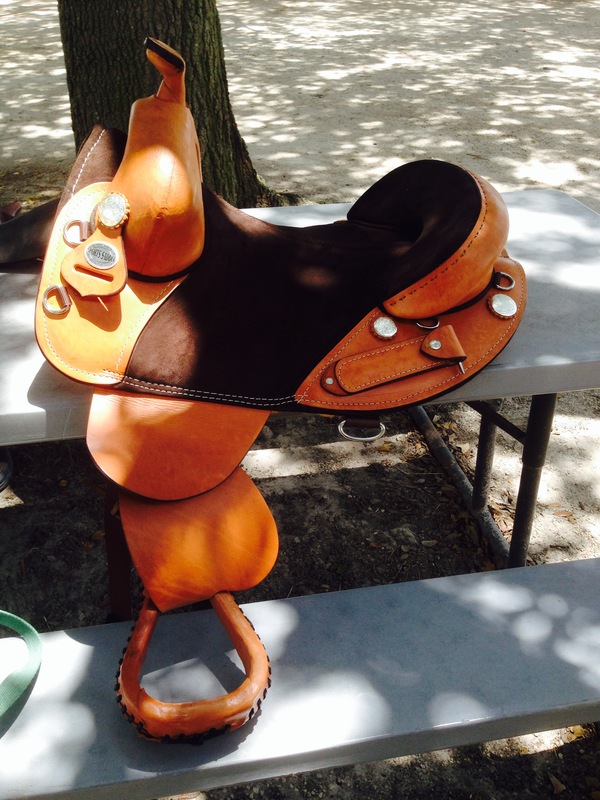 A wonderful author, in helping me conceive of an ending to a potential “Novice Horsewoman” book, gave me the idea of passing the novice torch onto another novice horsewoman, when my own novice-hood came to an end. But now I see that, actually, I will be passing on this torch to YOU who are Courageous, YOU who are willing to Learn, who are willing to Fail as well as Succeed, who are willing to let yourselves look like Fools and…. those of you who are willing to have your Hearts broken….freeing them to soar to unimaginable heights! Yes, to you, Brave Ones, I pass this torch! This entry was posted in All Things Joyful, Barn Lessons, Expect the Unexpected, Following a calling, Lessons Taught To Humans By Horses, Personal Growth, The Novice Horsewoman Learns New Things and tagged Appaloosas, Final Confession, Horse Health, Horse Taught Lessons, Horses, Humility, Joy, Life Lessons, Love, Novice Horsewoman Lessons, Paint Horses, Truth on June 15, 2016 by Christine Hendler. 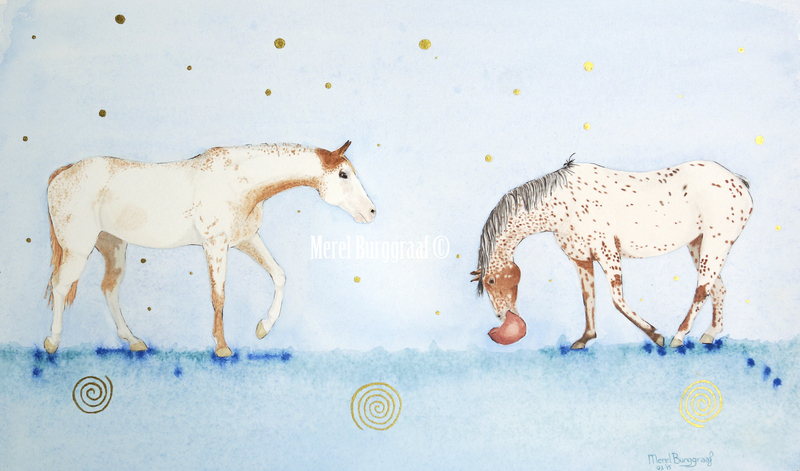 In Part Two of this unexpected journey, an exquisite, purebred Paint mare had arrived at the barn where I had become Spirit’s human and where he was training, She was to be trained up and finished to sell as a show horse. Certainly, her lineage was impeccable and pricey and her conformation (simply described, the way her different body parts size up in relation to each other) brought gasps of admiration from those who know and understand such things. 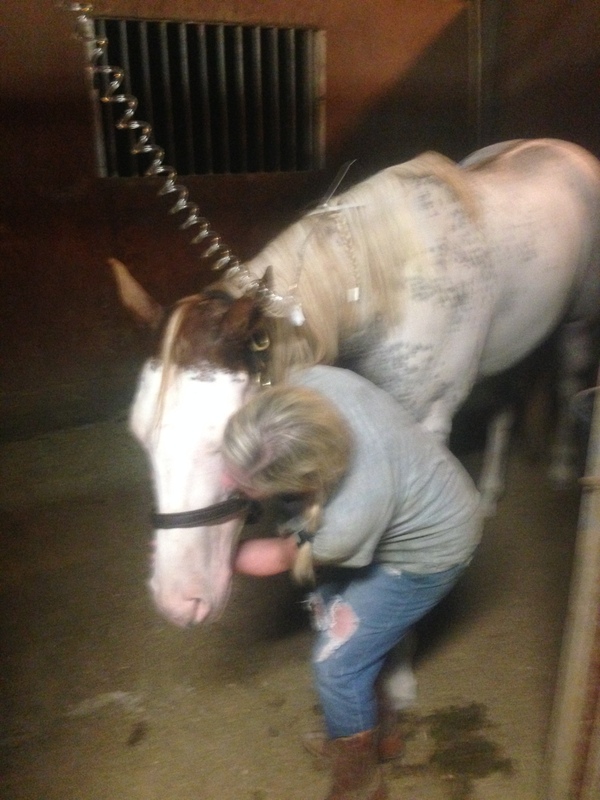 All this Novice Horsewoman understood was that this horse was gradually emerging from her tranquillized and shut down state after her four-day journey and that she and I were bonding. There was no way I could afford the steep price that would be asked for her. I was determined, however, to find a way. In the meantime, unbeknownst to me, when this mare had arrived, the vet had noticed a slight hitch in her right shoulder when she went in a circle. She and trainer Bryan were going to wait for thirty days and recheck her to see if it was just soreness from the trip or something else. Time passed swiftly in that month of August. It was a hot, rainy summer here in Florida. 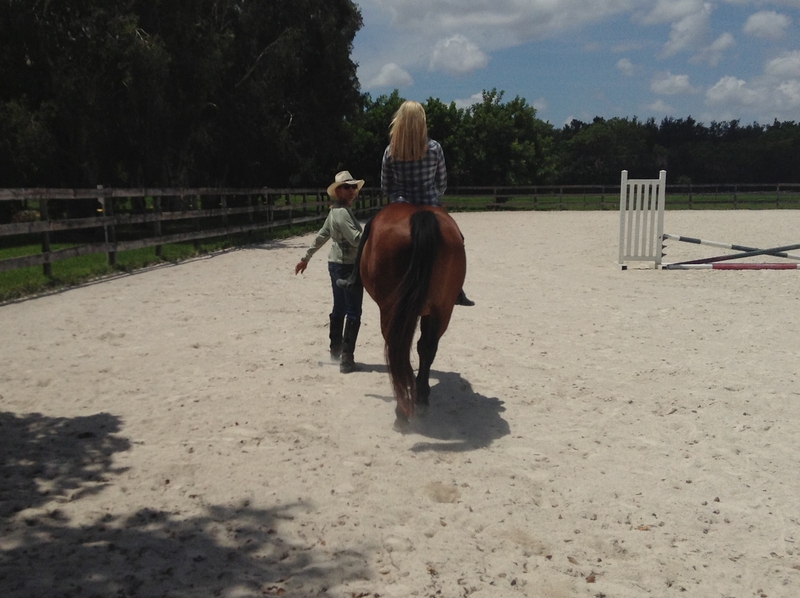 I was learning to ride better, still not very well, but better ;), learning and relearning about longeing, different tack, feed, hay. 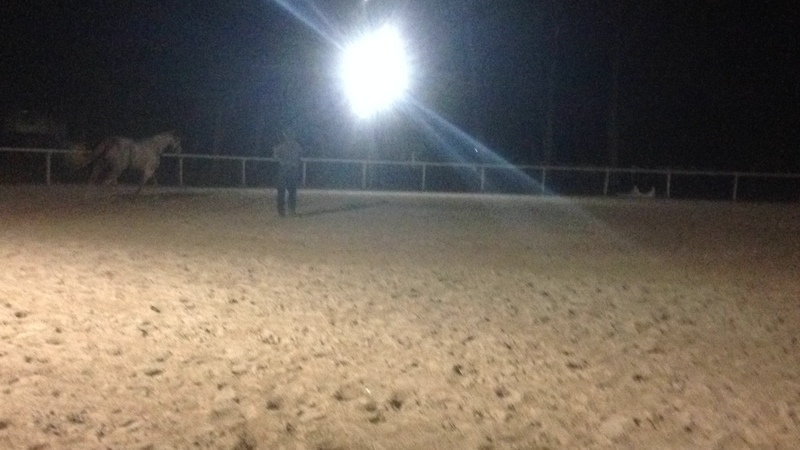 I was noticing many things at the barn, where trainer Bryan was leasing about 12 stalls, that were very disturbing. 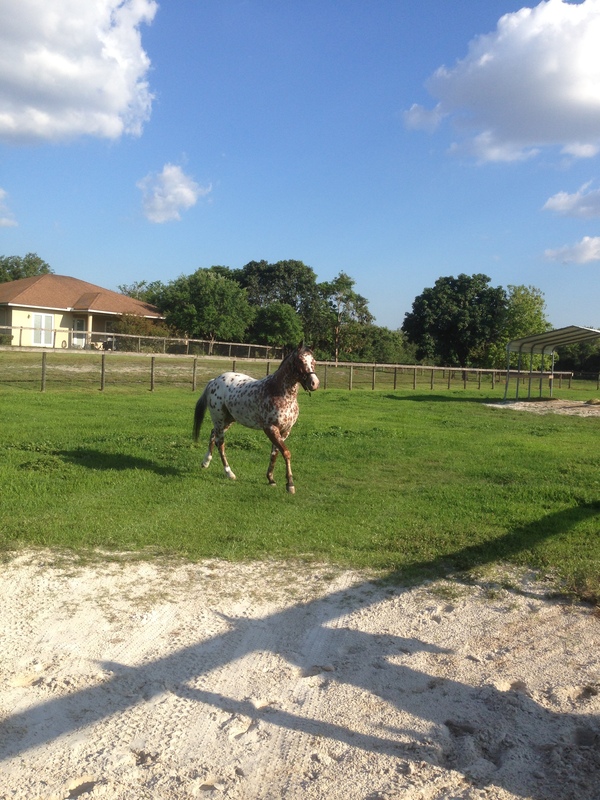 I was spending time with both my little Appaloosa AND the exquisite Paint mare. The thirty days were ticking away. 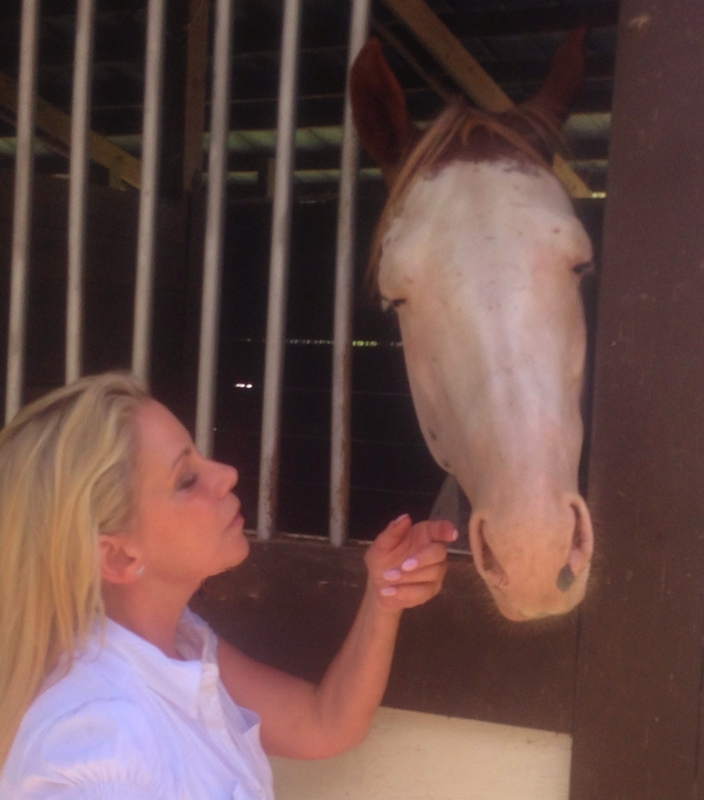 Finally, I couldn’t stand it, told my dearest friend the story up to this point, confessed that my heart was breaking with love for this mare and asked him for a loan. A BIG loan!!!! Much to my surprise all he said was, “How much?” “Um….fifteen grand?”, I stuttered. “Okay”, he said simply. While trying to remember that breathing is sort of essential to remain living ;), I immediately called and texted trainer Bryan (it was ONLY 11:30 at night) and told him I wanted to buy her. The next day I arrived expectantly at the barn to encounter a scowling trainer Bryan. The folks who had bred the mare and sent her to him were longtime business friends of his and had, for almost 20 years, sent him horses to train and sell. 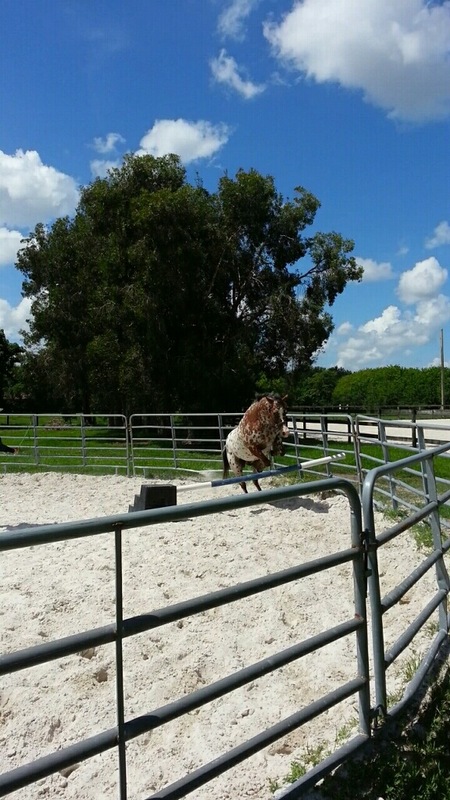 The last horse they had sent had come up un-show-worthy due to some rear leg tendon issues. It was the mare’s full brother, Fritz. Now, it turns out, the vet had rechecked the exquisite mare and the right shoulder hitch was a chronic condition which deemed her un-showable. What? 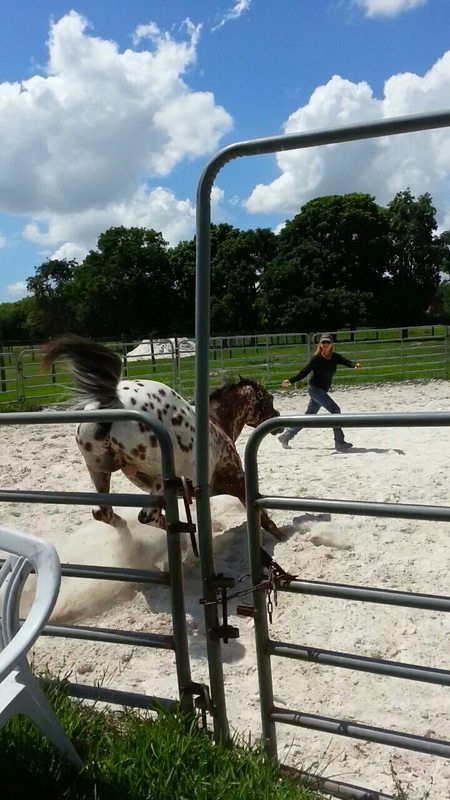 She can’t be a show horse?? My heart was pounding with joy and wonder!! Sometimes horses will find ways to cause “lameness” to themselves when there is a job they are asked to do that isn’t right for them. Conventional horse people will tell you that those of us who understand this are delusional, but when one is around horses, reads incessantly about horses and is obsessed with horses :), one begins to see this is not anomalous. 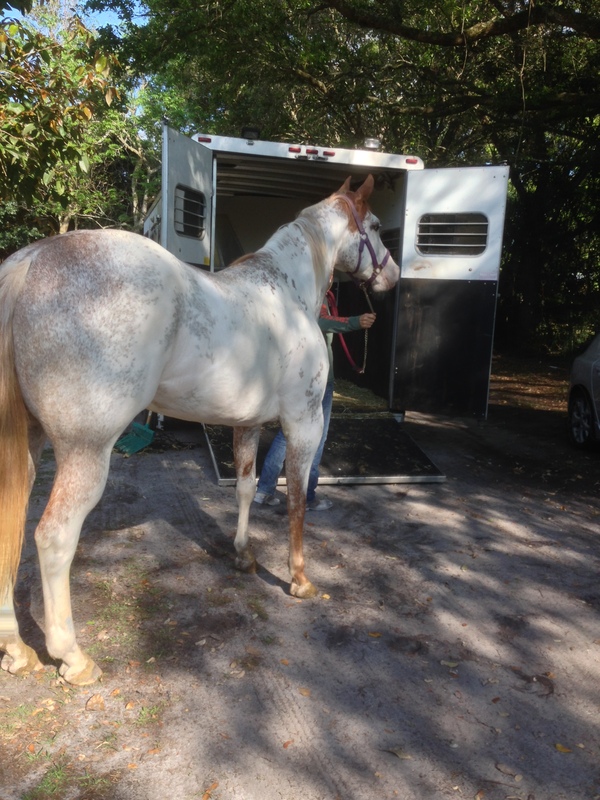 Trainer Bryan had determined that he was going to send this beloved mare back to these breeders and demand money for her transport, board and training up to this point. He was livid. He was incensed that they had done this to him a second time! They claimed that somehow her four-day journey was responsible and were not going to pay him a dime. In fact, the male breeder threatened, if Bryan sent her back they would put her down because now she was of no value. (Welcome, Novice Horsewoman, to just a glimpse of the dark and nasty underbelly of horse breeding and the various ways horses are utilized for human pleasure). 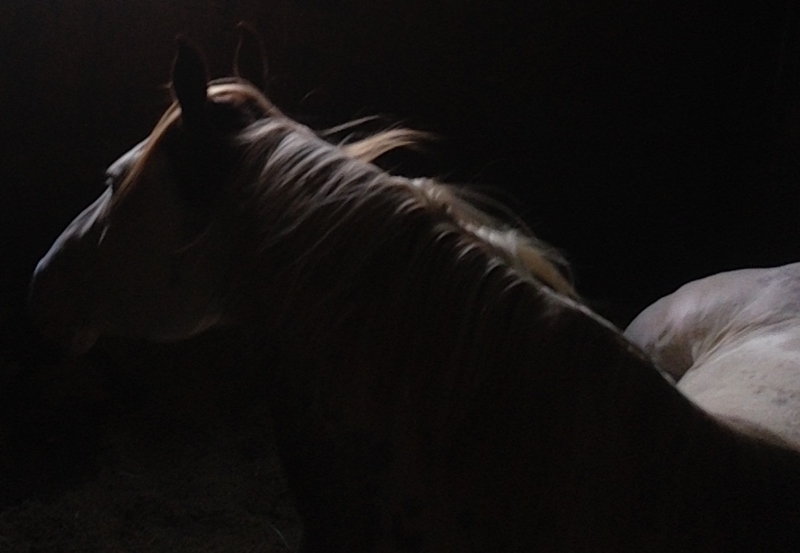 Thus ensued 48 hours of me weeping and pleading for him not to send her back, he arguing back and forth with the breeders and many petitions to heaven that things work out for the best for this exquisite mare. Well, the angels definitely are on the side of the horses, ultimately. That 48 hours ended with ME paying trainer Bryan for her transport and training and board up to that point (considerably less than $15,000!). 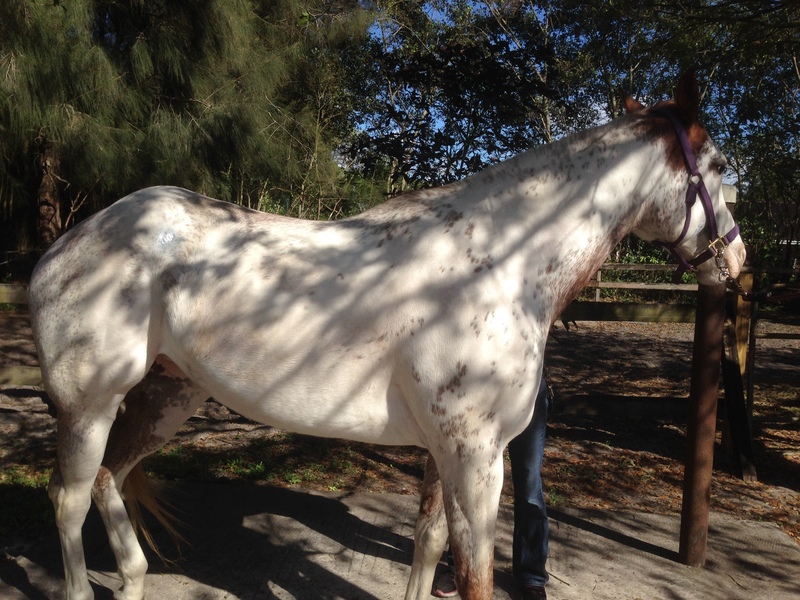 The exquisite Paint mare was mine! 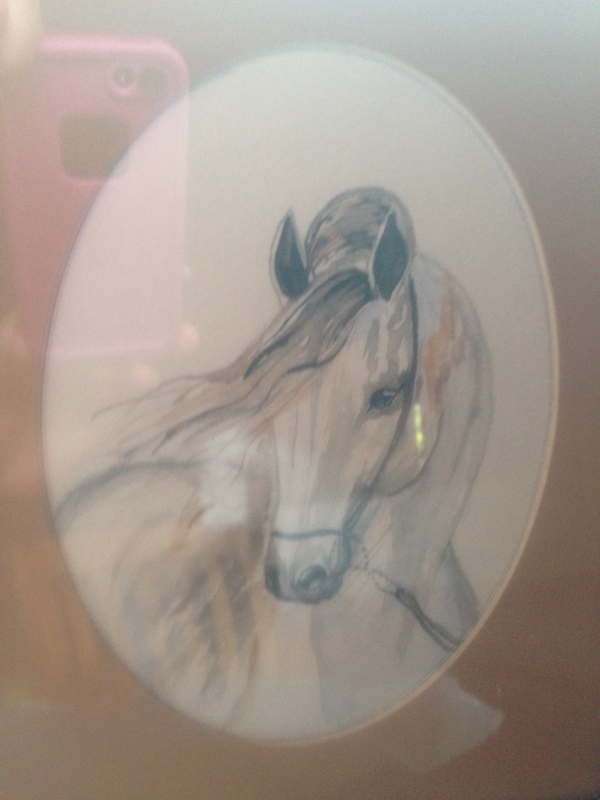 So apt were those words in describing the exquisite mare, that I knew that was her true name. She IS Baby Doe. 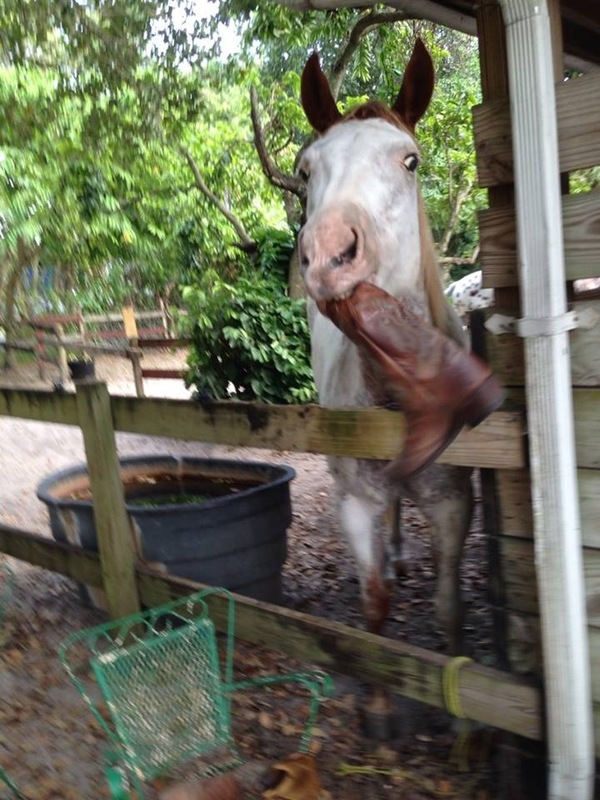 This entry was posted in Expect the Unexpected, Lessons Taught To Humans By Horses, Life Experiences, The Novice Horsewoman Learns New Things and tagged Angels, Horse Communication, Horse training, Horses, Love, Paint Horses, The Ballad of Baby Doe on March 5, 2015 by Christine Hendler.